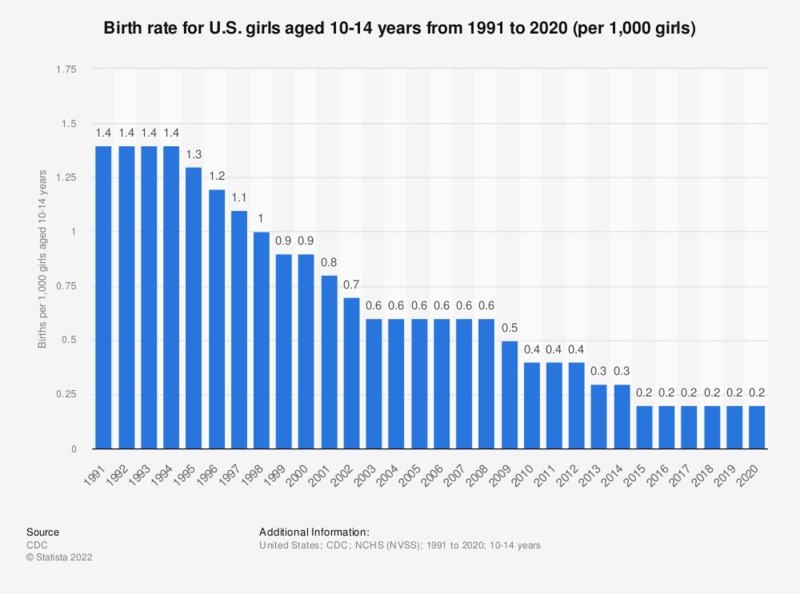 This statistic depicts the number of births per thousand U.S. girls/teenagers aged 10-14 years, between 1991 and 2017. In 1991, this figure stood at 1.4 births per every thousand girls. From 1991 to 2017, this rate decreased to 0.2 per one thousand girls. Figures from 2015 and earlier were taken from the previous year's report.